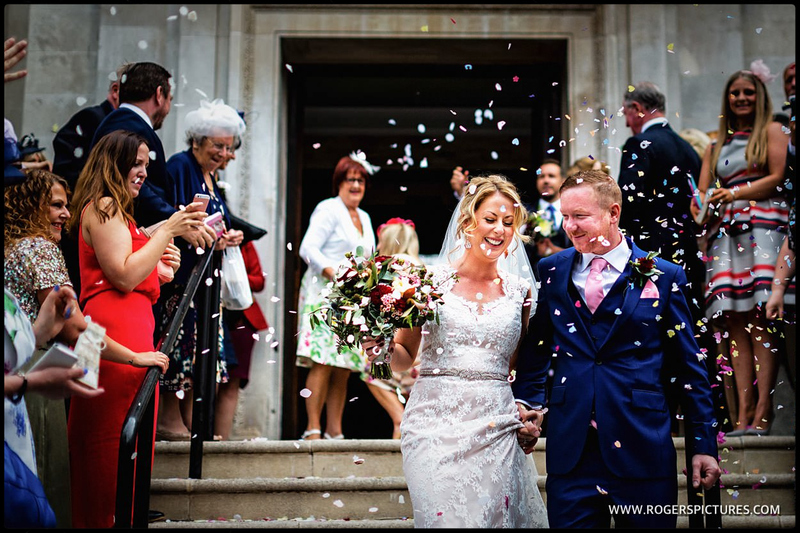 This London Town Hall wedding was always going to be fun to photograph. 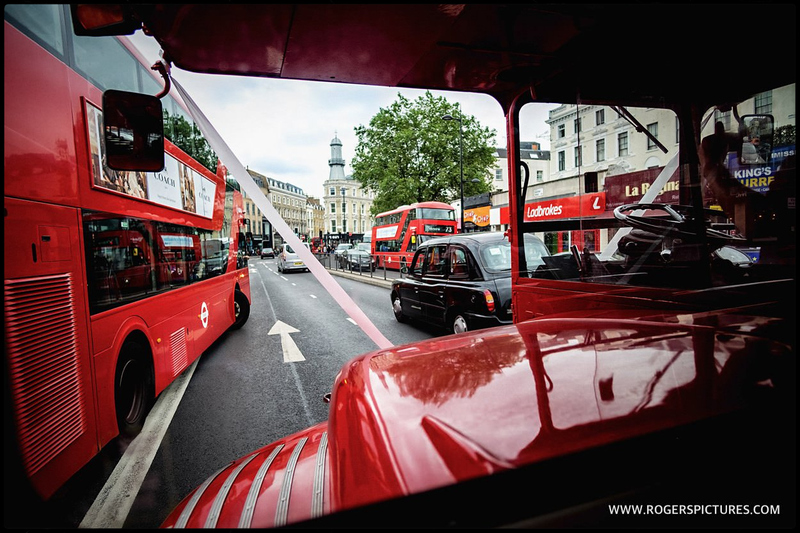 There were three amazing London wedding venues involved. As well as a London double decker bus. Not to mention one of the most iconic hotels in the city. And that was before we walked into the city centre in the middle of Ride London! 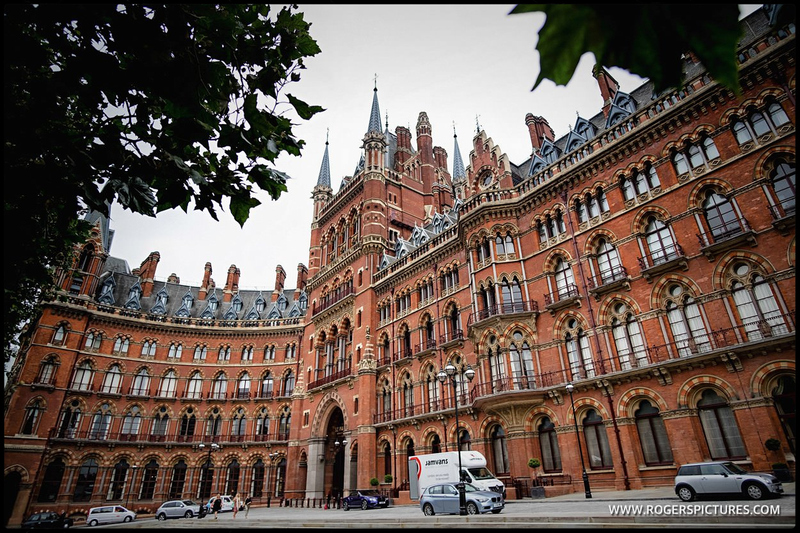 But the day began at St Pancras Hotel in King’s Cross. 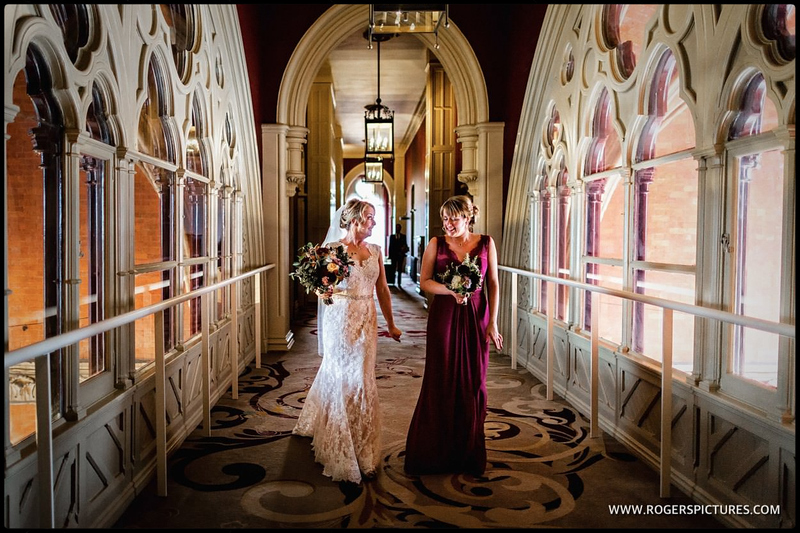 Jenny and her sister had chosen one of the must luxurious hotels in London. It’s a dream for a photographer too. 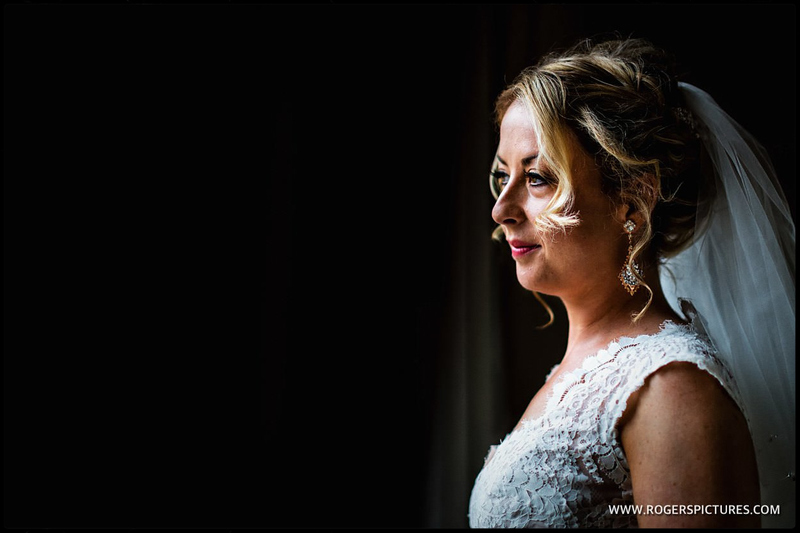 There’s loads of great natural light, and some amazing backgrounds. 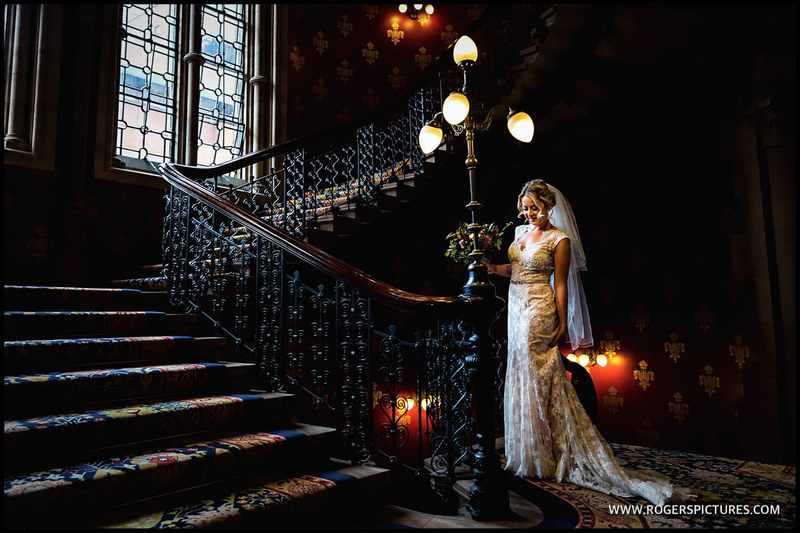 Like the world famous stairway, used in the Spice Girls video for ‘Wannabe’! 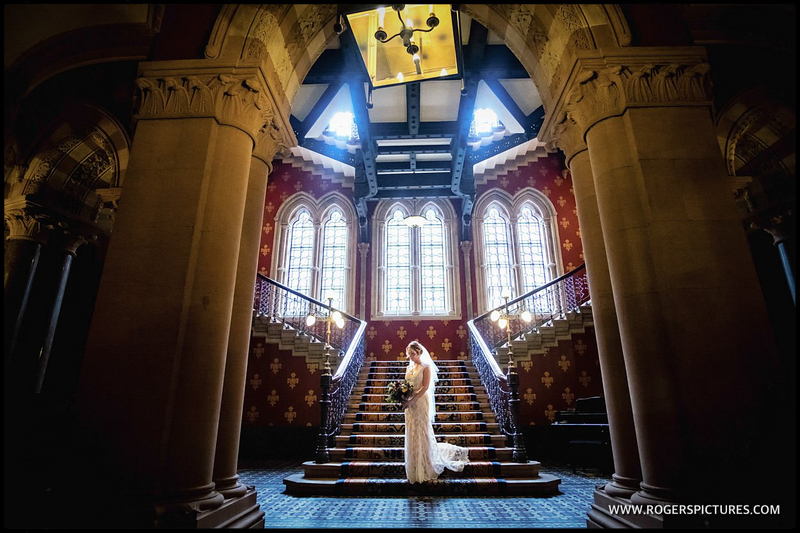 London has some fabulous Town Hall’s available for weddings. They all have a different feel. 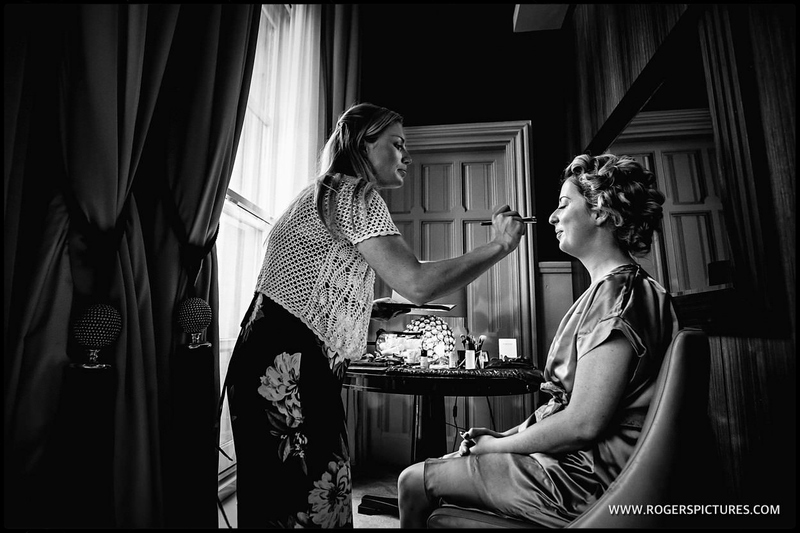 Check out the Art Deco vibe at this Stoke Newington Town Hall wedding. But Islington Town Hall has the kind of traditional feeling that works well with a classic London wedding. 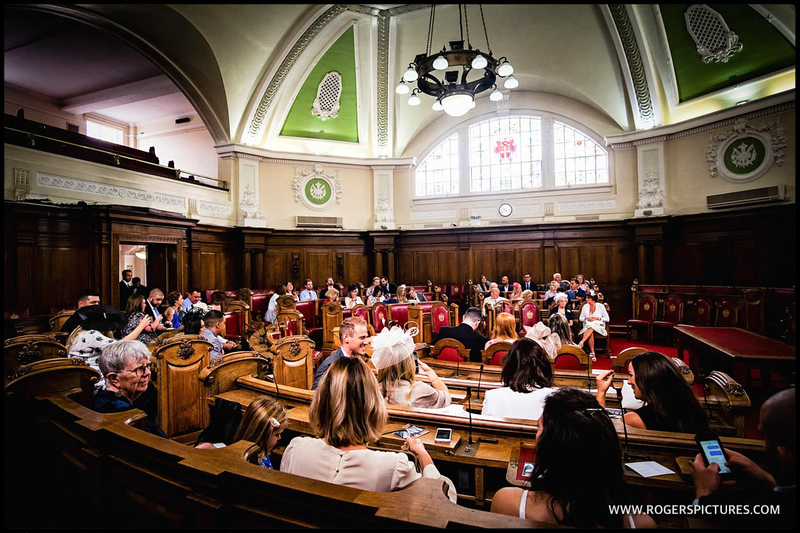 The main council chamber is great to work in as a documentary wedding photographer. There are plenty of angles, thanks to it’s circular structure. And moving around is easy and quick. 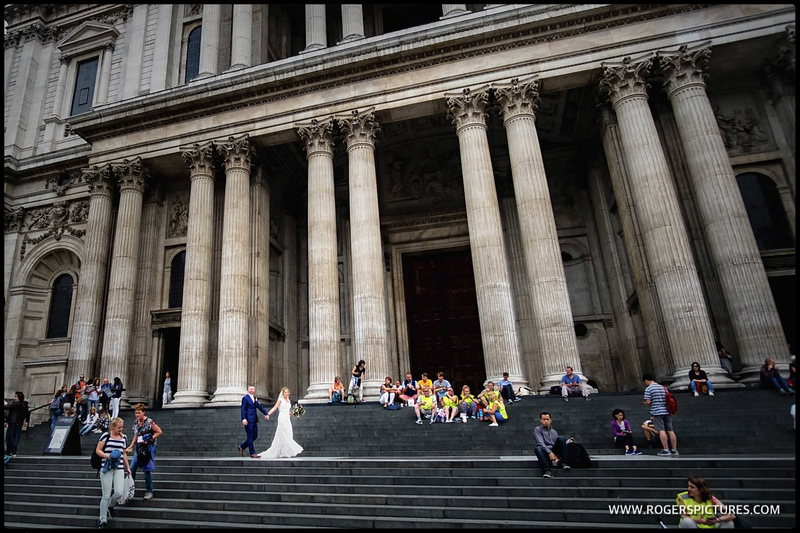 After some quick group photos on the steps, we all travelled towards St Paul’s Cathedral on a double decker wedding bus. Jenny and Paul wanted to get some quick portraits around some London landmarks. 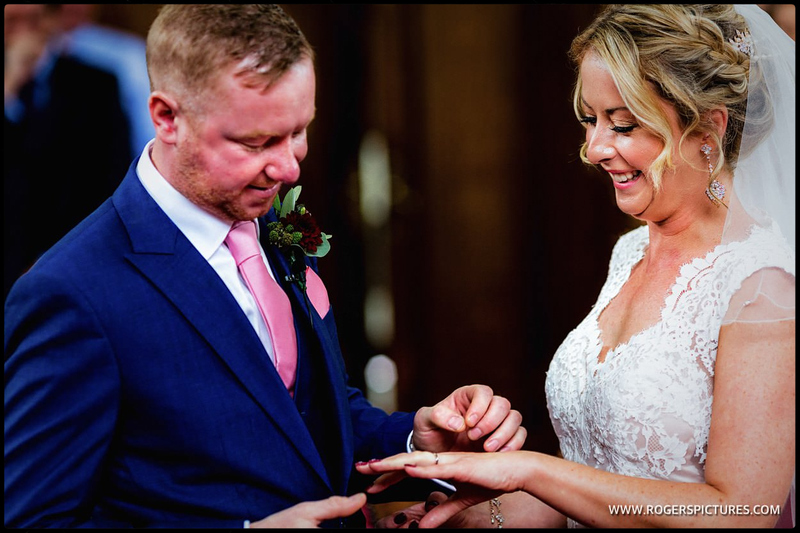 Their wedding day coincided with Ride London. It’s a 100 mile charity cycle ride taking in parts of the capital. So we had to dodge hundreds of cyclists whilst looking for some portrait locations. Of course, I built some of this into the photography. 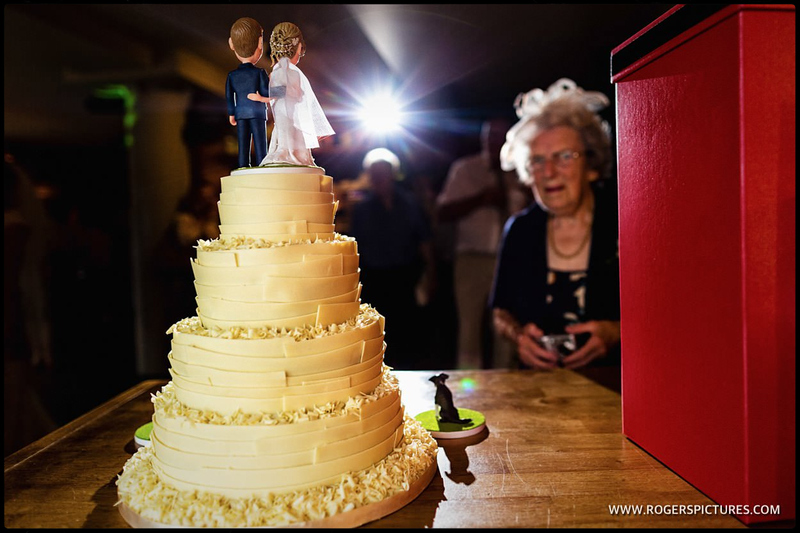 As a wedding photojournalist, this kind of thing on a wedding day just adds another element to the photography. 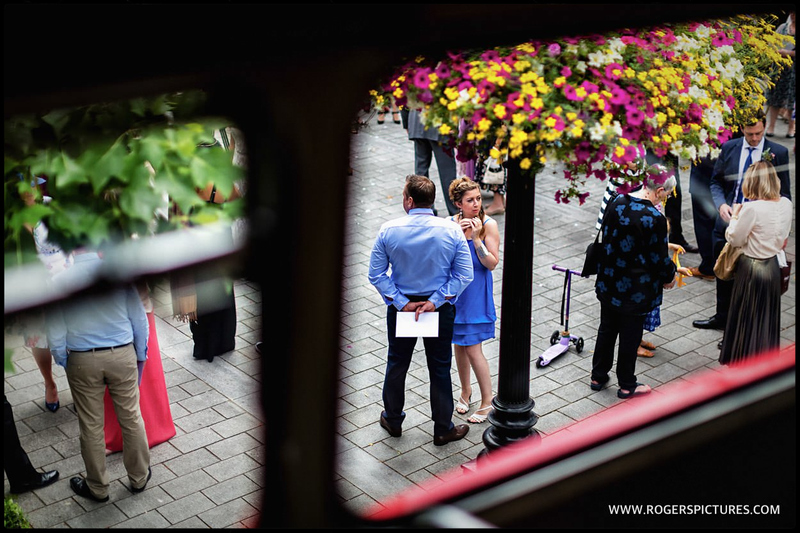 The wedding party finally made it to the final destination, The Pepys. 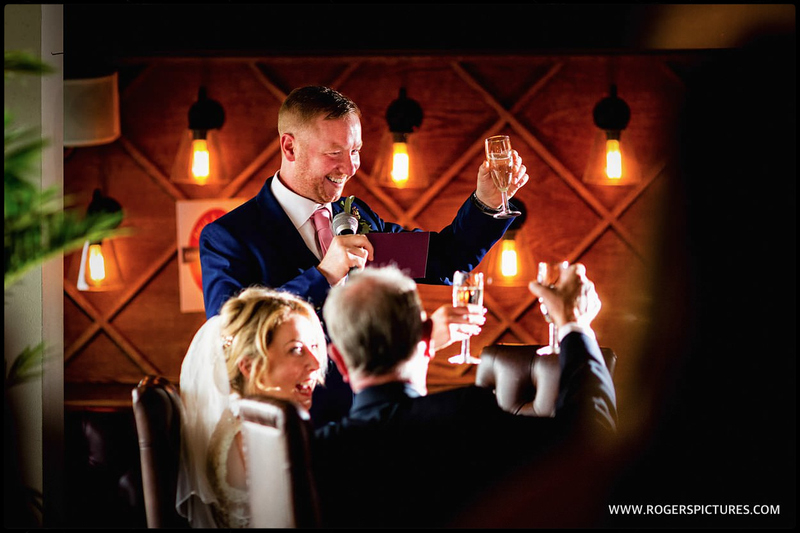 Reception drinks were brought to life with the fabulous magician Nick Reade who kept everyone amused. 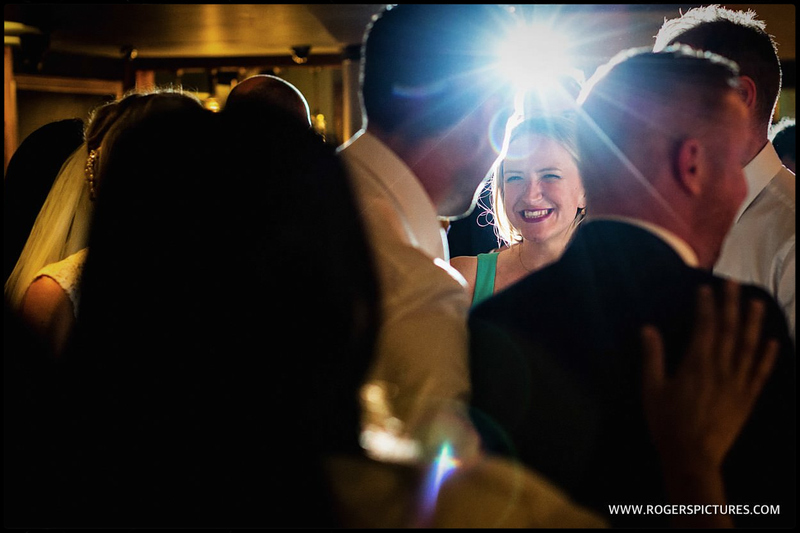 Following a delicious wedding breakfast, the party and dancing went on late into the night. 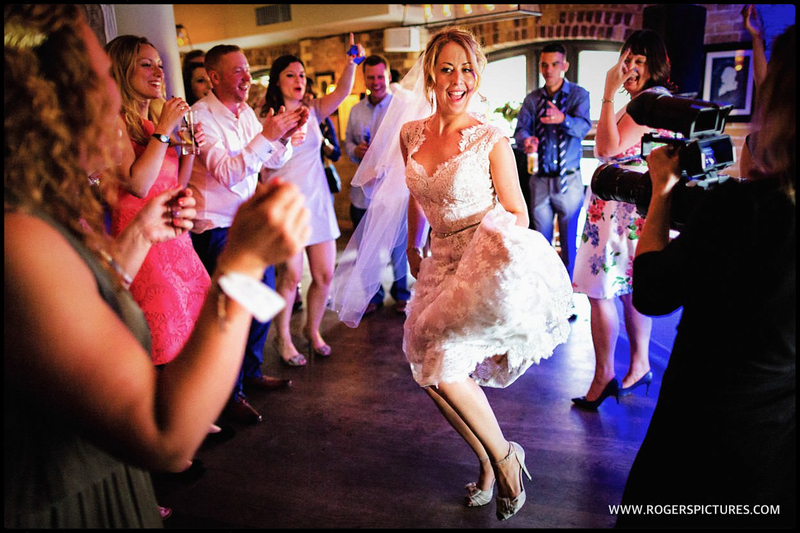 If you’ve enjoyed my style of wedding photojournalism, and want to enquire about my availability, here’s my contact form.